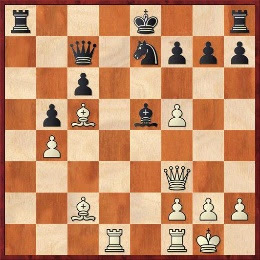 As you prepare for the upcoming Waterdown Chess Challenge, let’s review the danger of leaving your King in the center. While this may be seen as a beginner’s mistake, it really isn’t. Players of all strengths prefer to develop their other pieces if their King looks safe in the center. As we’re about to see, however, appearances can be deceptive. Chess genius Mikhail Tal used to say that for however long his opponent’s King stayed in the center, he would prioritize finding ways to attack it. In the position above from one of Susan Polgar’s games, Black is ready to castle to safety and White has only one move to stop this. What would you play? Susan explains how she turned a normal position into a crushing victory in this free video. Enjoy the video and best of luck as you prepare!